The products or materials that are among the hotlist of getting damaged by powder post beetles are wood materials like furniture, sapwoods, panels, floors, and moldings. The adult powder post beetles carve holes in the woods when they emerge to the surface which can be lethal to not only the looks of the wood objects but also their longevity. With continuous infestations, the number of holes increases giving the wood a hole-riddled appearance. The structural integrity is hampered along with the aesthetic damages. The larvae, generation after generation further bore down the woods and turns them into sawdust with time. How Can Powder post Beetle be Prevented from Damaging? Description: The boracare solution is an odorless, clear, and molasses-like solution that easily mixes with plain water. It can be used with the help of a pump sprayer or a brush. Features: The treatment lasts for a longer span of time and does not produce any foul or toxic odor. After application, it must rest on the item for at least 72 hours for better effectiveness. After the time span, no sign of the solution lasts visibly rather than its effect .No smell or discoloration of the item can be detected. The most effective treatment imposed by the solution is that the wood can be cut, painted and varnished without it enrolling further risks of damage. 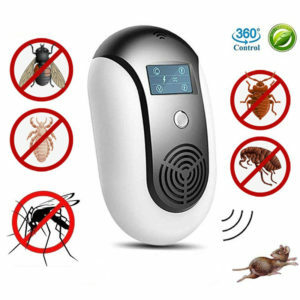 Description: The repellant is a powder that has no odor and is water-soluble. The solution can then be sprayed on the unfinished wood items. The product usually leaves behind a white residual matter which does not cause any harm to the health of humans and pets. Directions of use: The solutions can be applied to the damp spaces to stop the growth of powder post beetles which destroys the woods overtime. To treat the wood either in the open or in closed environments, you can choose the timbor product to work against the powderpost beetle infestation effectively. Description: The most cost-effective sprayers that come in a poly tank of translucent color and having a big top funnel. The device has a locking valve that can be turned on and off with a poly want that extends up to 14 inches. You can effectively spray on the infected areas with the help of the nozzle of the poly cone shape and the handle pump of “T” shape. Description: The wand on the foamer is of twenty inches and contains a pressure gauge. 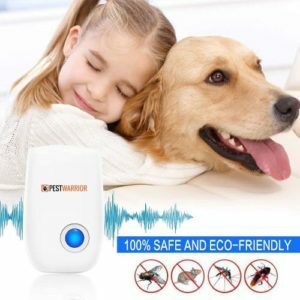 The tank is specifically made of a durable plastic material which ideally helps in treating outdoor and in certain cases indoor where the infestation by powder post beetles occur. The two-gallon capacity is for large infested areas which help in treating without asking for refill after a quick span of time. The foamer is an exceptional product for large area treatments where the slab injector adds to its value and user convenience. Description: This is the foaming agent used in the foaming tools. This additive acts as a solution that eliminates the infestation of powder post beetles and kills them effectively. Directions of use: You need to add only two to four ounces of the additive to a gallon of spray in order to convert it into a foamy residue on spraying. Description: This is an electrically operated device which effectively helps in converting chemicals that have a water base into a fog. The product that is commonly used in the device is permethrin and pyrethrum. You can spread the fog on large infested areas as the pump usually pumps out around eight to nine ounces in sixty seconds. 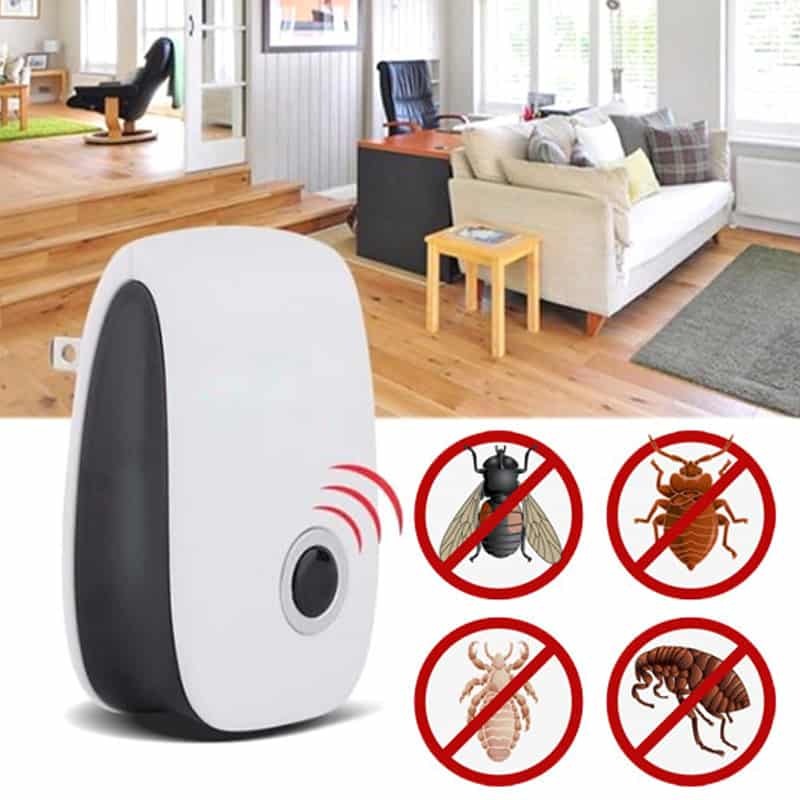 You can use the device effectively as a repellant both for indoor and outdoor usage. Directions of use: Sprays around nine ounces in sixty seconds and you can find the estimated time of application based on the area size mentioned on the label. Description: The device is also one of the electrical foggers that you can find in the marketplace. It serves its purpose by converting the oil or water-based solutions into a mist. The mist is sprayed over the space of infestation on the wood structures and other areas. These can be only outside the houses. The mist effectively targets the powder post beetles and kills them in no time. You can spray in larger areas using this device. Directions of use: Most effective sprayers in the industry and large storage units at least of the size 0.25 acres. 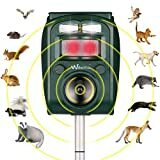 The machine spreads around nine to ten ounces in a minute and generally takes around fifteen minutes to spray across one acre of land and other similar large infested outdoors. Description: You can use the Jecta Diffusible Boracide gel particularly for wood infestations caused by powderpost beetles. The formulation of the gel allows it to completely penetrate the surface and reach the underlying areas for effective treatment. You get overall superior quality coverage for effectively eliminating the powderpost beetles from you wood belongings. The gel based product is far superior compared to the regular liquid treatment solutions. The gel has no disturbing odor, and the longevity is usually for a span of a couple of years. Directions of use: The gel can be used on any and every wood items including dressers, furniture, cabinets, molding, framing, panels, chairs, tables, artwork, plates, flooring, frames, rafters, doors, mailbox, decks, pilings, staircases, trellis, and all other related wood items that are inside or outside the house. The gel must be applied and left for a short span of time, approximately forty-eight to seventy-two hours and then the effect lasts for about one or two years where the termites and killed and prevented from coming back. Description: The aerosol sprays use deltamethrin as the main ingredient that does not emit any foul odor. The aerosol sprays are quick killers of the powderpost beetles and have a long-lasting effect as the residues stay on for a longer span of time, generally upto a month. The aerosol sprays come with crevice and crack tubes for appropriate injection of the solution in the deep of the infested areas. The repellant is used both indoors and outdoors. Description: The boracare with mold care is generally a liquid solution that needs to be formed into a diluted website with plain water before you can use it. Warm water works best with the solution. The solution can be applied by using a device of impeller-type that can drill and penetrate the solution deep inside to kill the hiding powderpost beetles. This effectively aids the process of dilute mixture passing. The solution was built using an innovative approach to kill particularly powder post beetles and provide the item on which it is applied for a long span of time. The protection is based on the long-lasting residual power of the solution on the object. 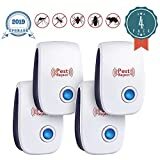 The pest control companies generally use this solution as their primary preference when eliminating termite and beetle-affected wood materials or areas. The solution with its robust nature prevents the powder post beetles from infesting the area again and growing for a longer span of time. Directions of use: The boracare with a moldcare solution can be easily found in the marketplace and can be applied to any structure irrespective of the wood type from which it is manufactured. The application may include raw woods including lumber, plywood, drywall, and particle boards too. The solution after application penetrates the wood surface to last for a longer span and effectively clean out the powder post beetle from deep inside. So overall the protection is not only limited to the outer layer of the material but effectively spreads inside as well. One pint of the concentrate can be added with five gallons of water and one gallon of boracare solution. These can be used in wood containing areas including construction sites, materials that are damaged by water, kitchens, crawl spaces, and even in bathrooms. 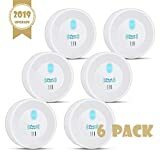 You can often face confusion while purchasing the right material to eliminate the infestation caused to the materials by the powder post beetles. An effective buying guide can help you to determine the ways to eliminate the root cause in the best possible manner. The most infestation prone object is an old wood surrounded by moisture. Outdoor storage of wood materials is often a cause for the infestation. Ensuring the wood objects to be kiln dry while buying reduces the risk of powderpost beetle infestation. Proper sanding and varnishing the same reduces the risks by a significant amount. Owners can further protect the wood materials by applying paint, varnish, and shellac to the unfinished end of the wood objects at home. Maintaining the level of moisture below 12% effectively helps in ensuring the prevention of powder post beetles from damaging old wood items. You can install moisture barriers near the infested materials and objects for guaranteed resolution and killing of the beetles. There are some strong natural processes to get rid of powder post beetles. These natural processes are environment-friendly and at the same time can help you to get rid of powderpost beetles very quickly. The powder post beetles prevention and management should begin right at the wood mill. However, pests can enter the product while it is being carried from the mill to your home. Thus you must thoroughly check all the wood products before you purchase them and take them home. You must fumigate the product if you see any signs of contagion before you carry them home. You must also check the firewood and bring only a particular amount that is necessary for that day. If the powder post beetles enter into small objects and infest them, then the most effective and quickest way to get rid of them is to place the object at a cold location. Remove the item from the warm place and transfer it to any location which has a temperature less than 10 degrees Fahrenheit. Leave it at that temperature for almost 72 hours. To check the effectiveness of this process remove the item from the cold place after three days and place it back to the previous location where the temperature is high as compared to the colder place. Keep it in the warmth for about two days. Repeat this process again to ensure the object is free of powder post beetles. The beetles are killed not because of the cold temperature rather due to the drastic change in temperature. They get eliminated and cannot cause any further damage to your furniture or any wooden object. There is a particular guideline which must be maintained to kiln-dry any object. You can apply this process only on large pieces and small objects of wood like beams or boards. The heat generated consistently will kill the beetles, but you cannot keep them away with the help of kiln-dry. You must seal the wood or paint it when it is dry. Powder post beetles are attracted to dry and old wood. If you have old wood close to your house, it is most likely that powder post beetles will spread in these wood and in turn enter your house and affect your furniture. You must keep your property clean of dead tree limbs, branches, and wood scraps. By doing this, you are taking away the greatest option of the beetle entering your home. Low moisture level in wood is against the survival conditions for powderpost beetles. You must check that the moisture level in all wooden objects at your home has low moisture level. They will die where the wood does not have a minimum moisture level of 20 percent. You must increase the air supply and ventilation or place a moisture barrier if your furniture or any other wooden object is exposed to moisture. Borate salt is a common and easy way to treat powder post beetles. This process is not meant for thick and dry wood as the borate salt cannot penetrate deep inside the wood. However, it works on thin wood, and you can see the difference if you sprinkle some salt on the wood. This process is not quite possible in case of large furniture. However, if the infested area is small and involves wooden paneling or molding, you should consider replacing them. A study was conducted in the year 1993 which proved that eucalyptus, basil, and tarragon oil could help in getting rid of powder post beetles. The beetles got killed within 72 hours according to the research result. There were other oils as well but did not show much effect. Cedar oil is considered to be the best natural repellent. It not only kills powder post and many variations of these beetles but also helps in repelling them. Wooden furniture and other objects attract powderpost beetles if left unfinished. You can use shellac, paint or varnish on the surface of the objects, so that female powder post beetles do not get an opportunity to lay eggs on the unfinished surface of the objects. You can follow these processes to get rid of powder post beetles and their infestations. You must reduce the level of moisture present in the wood and maintain it at 20 percent. You can use a moisture meter to determine the level of moisture present in the wood. You can place vapor barriers, central heat and have a good ventilation system to control the level of moisture. Any lumber that has been rough-cut must pass through kiln so that any powderpost beetle or larvae present gets killed. You need to apply varnish or get the wood sanded as maintaining moisture level will not be a complete solution. The powderpost beetles do not get attracted to sanded wood. The beetles cannot find cracks in order to penetrate and lay eggs on the surface of the wood. You must shift your valuable belongings away from barns and sheds if they are near to any as powderpost beetles are found in these areas. You can apply wax, varnish, and paint to seal it from infestation. You can use boracare or Timbor to treat the unfurnished furniture so that larvae do not enter the wood. In case the furniture is already infested you can treat it in a fumigation chamber to get rid of these beetles. The best possible way is to remove the wood that has been infested with the powder post beetles. There can be beetles seen emerging from the wood structure even after the elimination process has been conducted; this is mainly because of the action that the repellants impost on the beetles. The solution and powder repellants often stick deep as residues on the surfaces, as well as in the inside of the wood structures and remain there along with serving its effect usually for a couple of months to a couple of years depending on the power of disinfection. The primary point to be noted while using an insecticide is that the lifespan of the powder post beetles often stretches over a period of three months to one year. The wood must not be too dry as the solutions for disinfecting the infested regions will not be able to properly penetrate deep and impose its action on the powderpost beetles. Adding water to the solutions and the sprays accurately help in the process of penetration and reaching to the deep inner parts so that the hidden powderpost beetles can be effectively killed and eliminated. For certain cases, where the infestation levels are high, and you do not want to replace your valuable wood material; fumigation is the only way that can help. This is generally a costly process but has a full guarantee of eliminating and killing the powder post beetles by exposing the material or space under the highly packed action of gases for a long span of time. The process involves the use of harmful gases that can be toxic to humans and animals nearby. You can remove infestations when a small or limited area is affected by these powderpost beetles. However, if you see holes appearing in other places, you must consider going for pest control on an immediate basis. You can apply insecticidal processes to the surface of the wooden items remains exposed to moisture and have a greater chance to get affected by powder post beetles. However these insecticidal is not enough to get rid of the beetles completely as they are not able to reach the larvae of the powder post beetle burrowed deep inside the wood. Thus this treatment process has some limitations. You can treat the surface of the wood with insecticides, and they will have residual effects so that re-infestation does not occur and the adult beetles get killed as soon as they emerge on the surface of the wood. You can use essential oils and extreme temperature effects to eliminate the powderpost beetles. However, you can use formulas that contain borates as it will penetrate into the woods and kill the larvae at the core of its dwelling place. If the powder post beetles persist after using DIY and other natural methods you should get in touch with a pest control company and allow the experts to eliminate these pests from the roots s that they do not return. They will not only control the population of powder post they will also take precautions that are necessary to prevent recurring of the infestation.